Make your mark at ASU and join Sparky’s Welcome Team today! 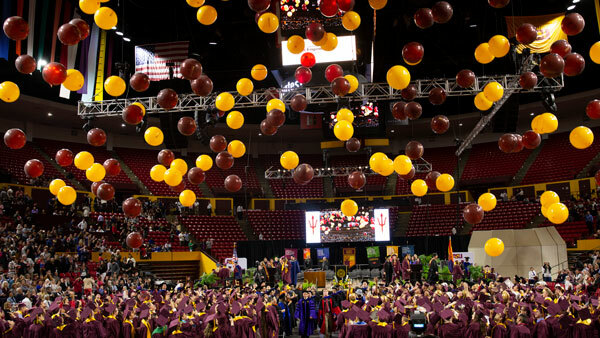 As a Sparky’s Welcome Team volunteer you will meet and assist incoming freshmen in their transition to ASU during Fall Welcome. Responsibilities may include greeting incoming freshmen at Wells Fargo Arena check-in, assisting with crew-style move-in, staffing Ask Me booths and assisting at various signature events. Select a volunteer shift and activity that best fits your needs. Register as group or individually by visiting https://students.asu.edu/swt. Sparky’s Welcome Team provides a great opportunity to show your school pride and meet new friends. For more questions contact swt@asu.edu.